What’s new and especial on Windows 10? -Microsoft with Windows 10 starts a process of unification of platforms and operating systems that run on them, getting to be a single system to run at all. – The start menu is more functional and full of news. It ceased to be a place where we only have access to installed applications and now becomes a showcase of information. Where we can find and arrange tiles, which are dynamic and quickly where we have access to everything you want. – It has a new browser more faster, more efficiently and with fewer requirements in terms of consumption. Also with a new functionality of sharing content, put notes and is integrated with the personal assistant of microsoft, the Cortana. – The personal assistant of Microsoft, Cortana, created and launched on Windows Phone, managed to make the leap now for Windows 10. Aand beyond the use for normal research within the windows or on the Internet, it allows also manage the user’s schedule, alert for appointments, sending messages or to take notes. 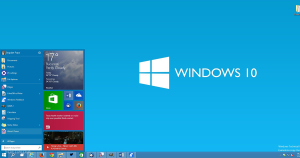 – Windows 10 also brings the ability to adjust the screen of each device through the continuum. Which allows the user to use the tablet by adjusting not only the start menu but also the applications that now come to be adjusted to the touch and other interactions with the lack of keyboard. – Another news is the application Xbox which is now used not only to interact with Microsoft’s gaming network but also allows you to play on windows 10, via streaming and all the processing is done on the Xbox. – Native windows applications also change with the focus on mobility to any device, allowing the user a better user experience. – Finally Microsoft creates a new windows store, suited to universal applications and new windows 10, with new content such as music, movies and television shows.